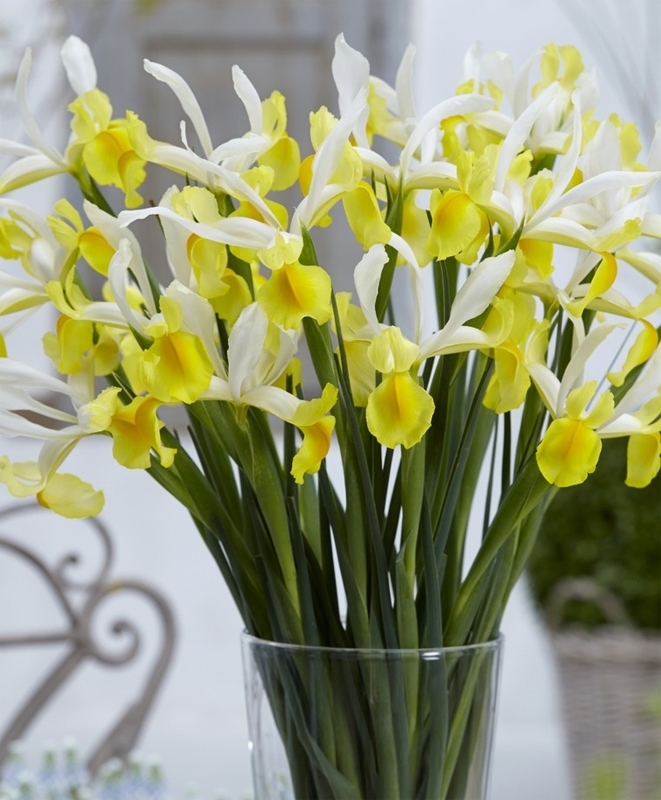 Our Iris collection contains Herbaceous Iris, Dutch Iris and Rock Garden Iris. 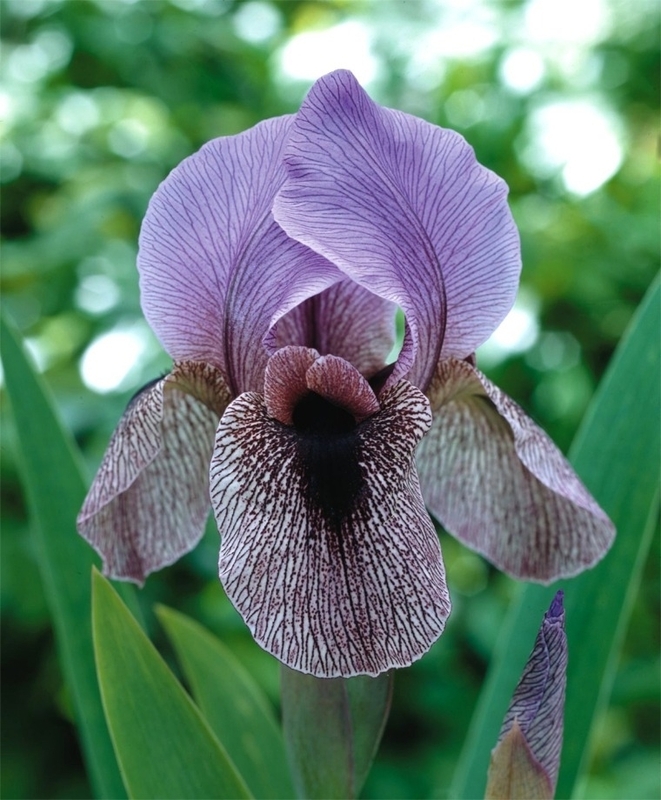 Iris have standards which are the inner petals that stand upright and falls which are the outer petals that open downward to reveal a contrasting color on the petal's spine. Blooming later than Rock Garden Iris, these prized species prefer very well-draining soil and good sunlight. Top size bulbs. May/June. Plant 4" deep and 4" to 5" apart. Horticultural zones 5-9. Height: 16" to 20". 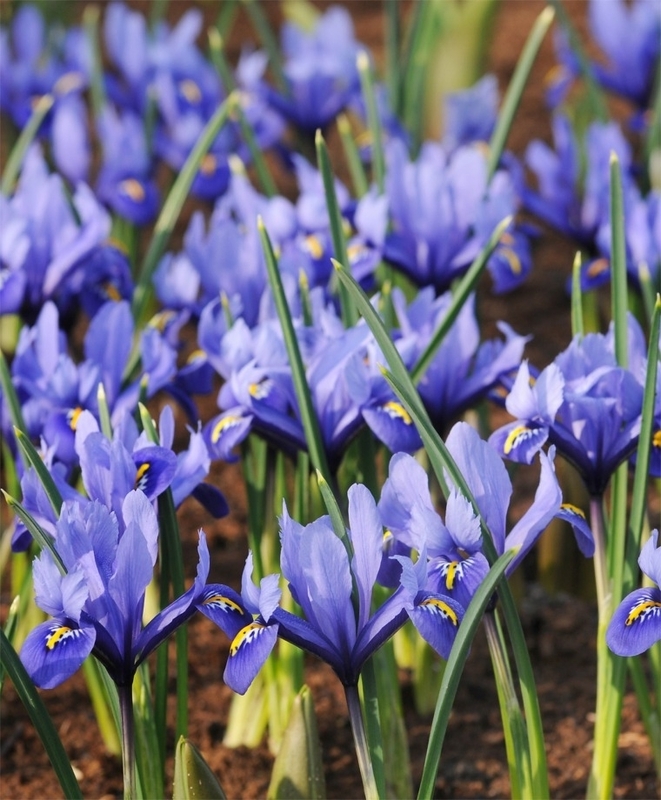 In contrast, our Dutch Iris are terrific for garden display and as cut flowers and grow to about 18" to 22". Bulb size: 8 cm/up. Bloom time: May/June. Plant 6" deep and 6" apart. Horticultural zones 5-8. Aptly named, the early Spring blooming Rock Garden Iris are best in rock gardens, in clusters along garden borders or in sweet little forced pots over the winter as they grow to about 4" tall. Rock Garden Iris: Bulb size: 6 cm/up. Early April. Plant 4" deep and 4" to 5" apart. Horticultural zones 5-9.